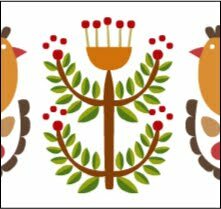 You can have a lot of fun with the patterns on this paper or any other patterned paper. 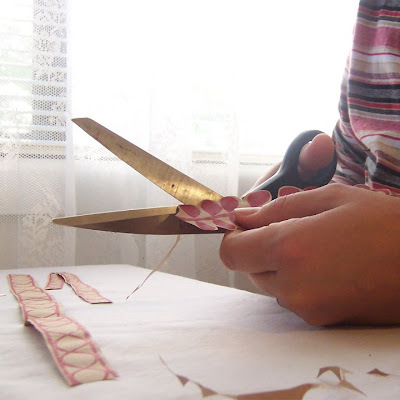 Remember the pattern should be large enough for you to be able to cut it out without too much fuss. 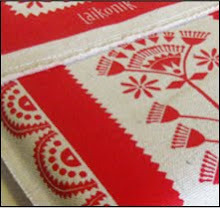 glue (you can use regular stick glue), twine and Laikonik wrapping paper. 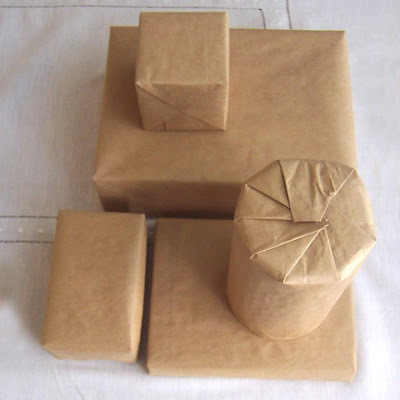 Start by wrapping all the presents in the plain brown kraft paper. 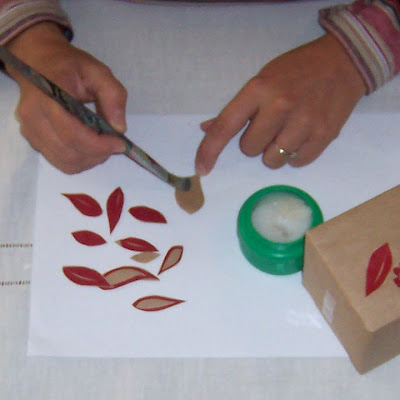 Cut out the desired patterns, shapes or images that you'd like to use. Arrange all your pieces so you can clearly see what you've got to work with. 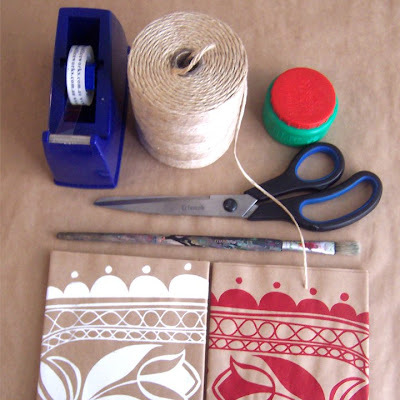 Glue the back of each piece and stick it onto the wrapped gift in a pattern of your choice. 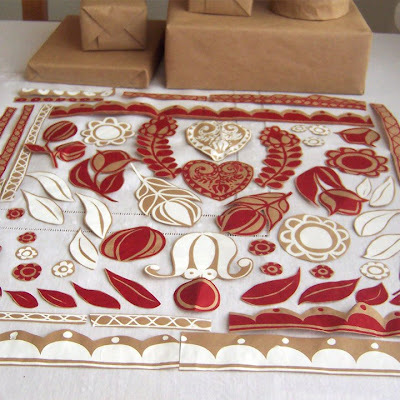 It's a good idea to lay out even a bit of the pattern before you glue it on so you can see what's going to fit and what won't. Wrap string around each present or ribbon if you prefer. For something different write on the side of the gift instead of using a seperat gift tag. You'll be able to write a longer greeting and won't have to fuss about with a tag! And there you have it, a gorgeous stack of pressies ready to go under the tree! Also have a look at this amazing paper. 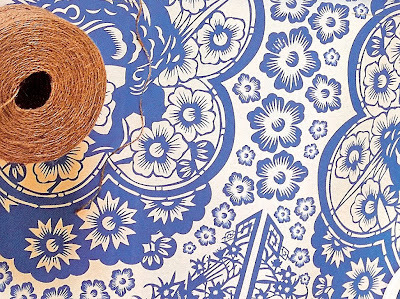 It's called Juliette Paper in Blue and it's from Pepe's Paperie. they look beautiful! 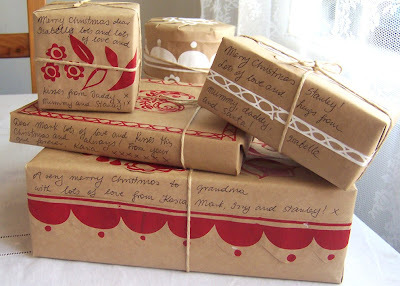 great idea - i often write all over my gift wrap too! 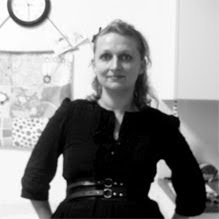 and i LOVE your papers - stunning! These are gorgeous, what a great idea! 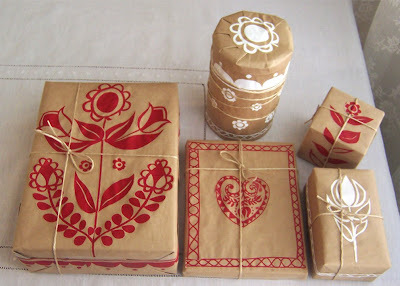 Really love the wrapping paper; I have linked to your post on my blog: http://at-eleven-eleven.blogspot.com/.